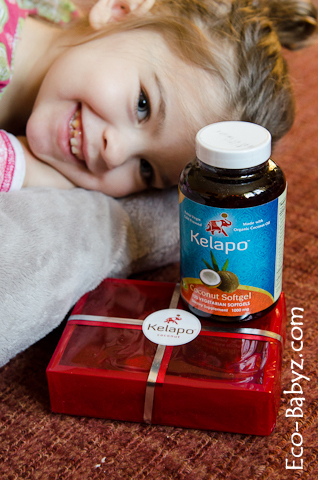 Our second GMO Free 2013 sponsor is Kelapo, a company that makes organic extra virgin coconut oil and many other great coconut products. 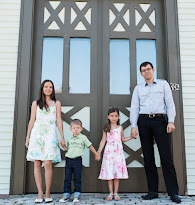 We loved their coconut oil that we tried back in 2011. This time we're trying the Vegetarian Coconut Oil Soft Gels and the Organic Coconut Macaroons. I prefer getting all my nutrients through food. Coconut oil is food. But I just can't tolerate eating a spoonful as is (and I don't like its grittiness in a smoothie). Why take coconut oil? Well, for starters, the celebrities know it's good for you. Not that I follow them, I'm the last person on earth to follow what they say. But anyway, coconut oil is great for overall health. It can do wonders for skin, nails, and hair. Not that I'm 29, those things can use a little help - my skin is starting to show its first signs of aging (gasp!) and since I am not a big fan of makeup - I want it to look good as is! It's great for the immune and digestive system. It's a good fat. Not a hydrogenated fat. Perhaps the only reason I shouldn't take it is because it is great for weight loss! I need to gain some weight. The ingredients in the soft gels are pretty good, though I honestly would have preferred that there was no carrageenan or sorbitol, I don't see why either one is needed. There are 1,000 mg of coconut oil in each soft gel and it is recommended to take 4 daily. It costs $24.99 for a bottle of 120, a one month supply. Yes, it would be cheaper to just eat coconut oil by the spoonful, so you would be all set with some Kelapo coconut oil. Healthy treats can be hard to find, so I love the Kelapo Coconut Macaroons ($14.99 for 8 pieces). Though they are a little too sweet for my taste, I like that there is no refined sugar. It's sweetened with organic agave and has seven 'real food' ingredients. They are very rich, one is more than enough for me to have in one sitting and I enjoyed it with some herbal tea. It's a nice occasional treat! Win a set of Vegetarian Coconut Oil Soft Gels and 8 Coconut Macaroons during our GMO Free 2013 Giveaway which starts January 20th! Thank you for this review! Id heard some time ago about how awesome coconut oil was and Ive been wanting to try it. Id really like to use it for my hair and nails and I know taking it in pill form is going to be the best way for me. All the info you gave was what I needed to know !